What is it about baby showers that sends (most) women rushing to the stores to buy the best, most useful or cutest gifts they can find? It’s the instinct to make a new baby feel loved and cherished as soon as it’s born. It’s probably for the same reason that personalised baby gifts have become all the rage in recent years. 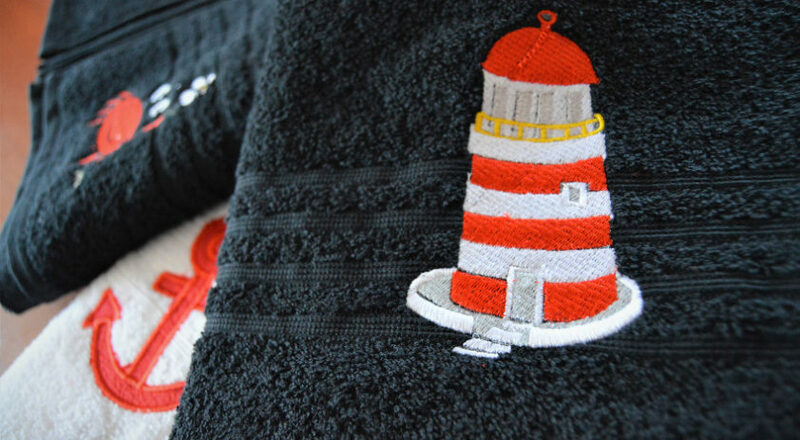 Sarie Esterhuizen has been making a living off the trend, embroidering towels, blankets, bath cloths and burp cloths (complete with crocheted border!) for countless little ones soon to be born. 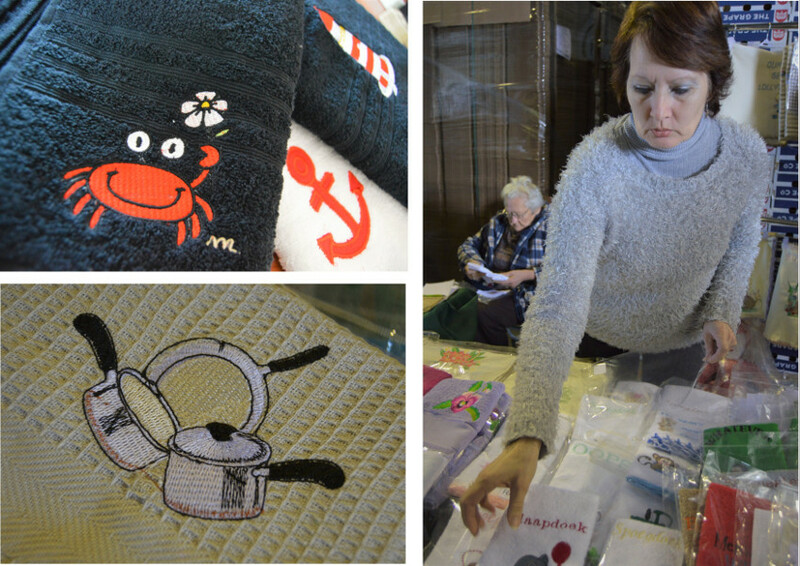 “It’s something truly unique; you simply cannot find it in a store,” she says about the gifts she sells at the Pure Boland Market each month. But while the baby gifts are some of her top sellers, they are far from the only ones. 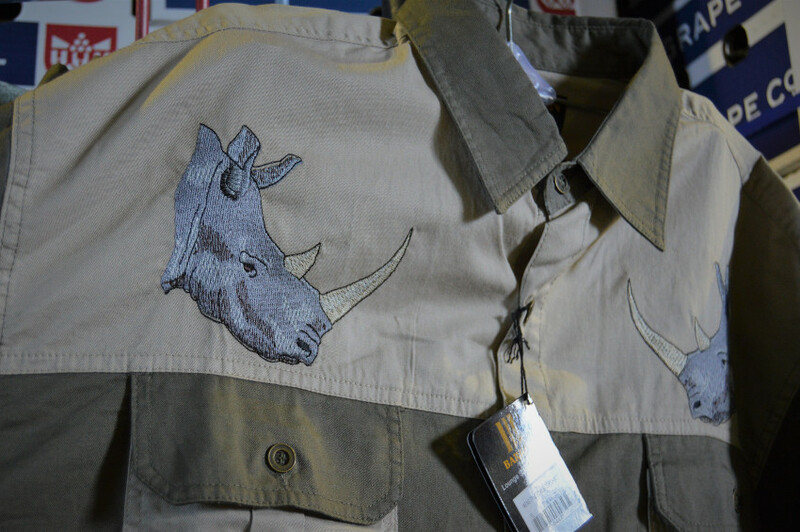 The ladies can stock up on table cloths, salad covers, tea towels, aprons and the like, while shirts and braai towels make handy gifts for the men. 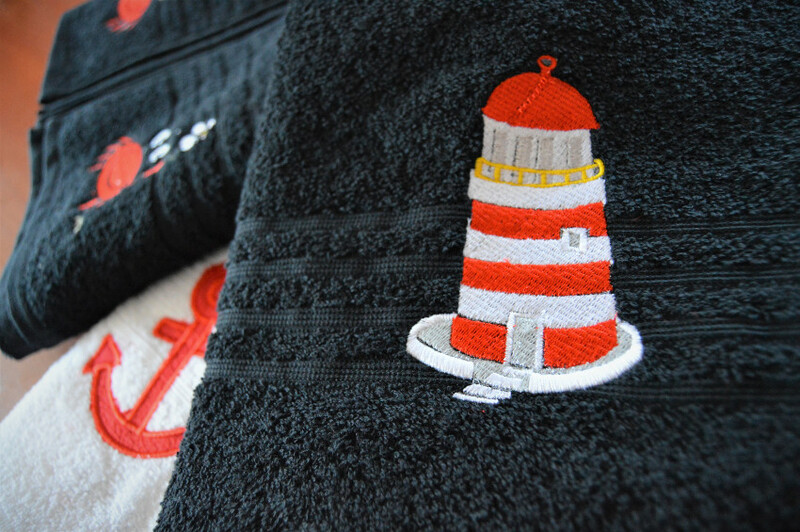 Guesthouse owners order personalised towel sets, while holiday makers love the ocean-themed navy, red and white beach towels. 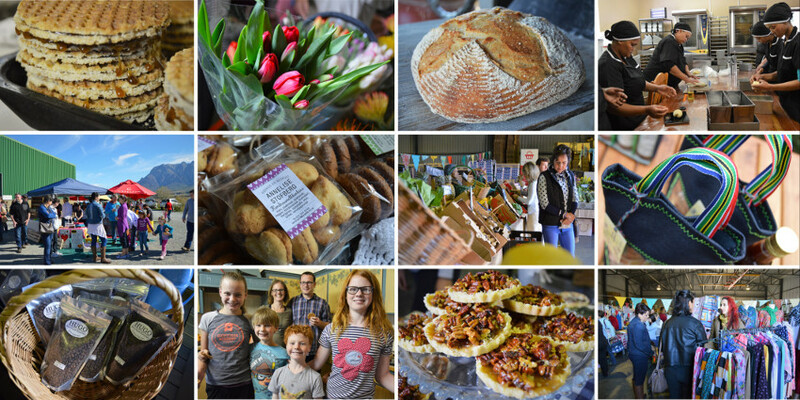 At first Sarie sold her products from home, until a friend’s daughter encouraged her to set up shop at the market. Nowadays she has a whole room full of sophisticated machines capable of stitching the most intricate patterns. Her husband Richard, a Transnet employee, joins the assembly line when the orders pile up. 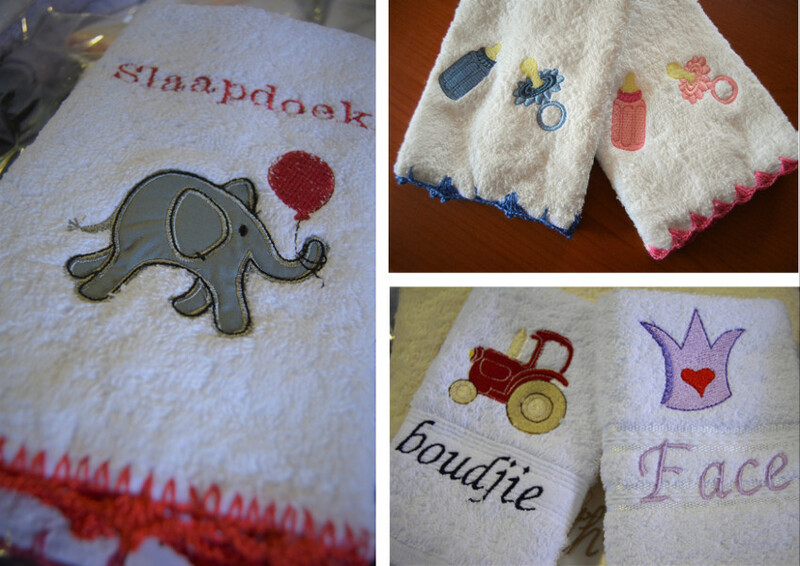 Sarie uses only Glodina towels and cloths for the bathroom and baby products, while she sources fabric for the blankets from Johannesburg. She believes in using only high-quality fabric, which results in high-quality gifts. Customers can visit the next Groenstoor (the first Saturday of every month, except January) to buy gifts, or put in orders for pick-up the next month. 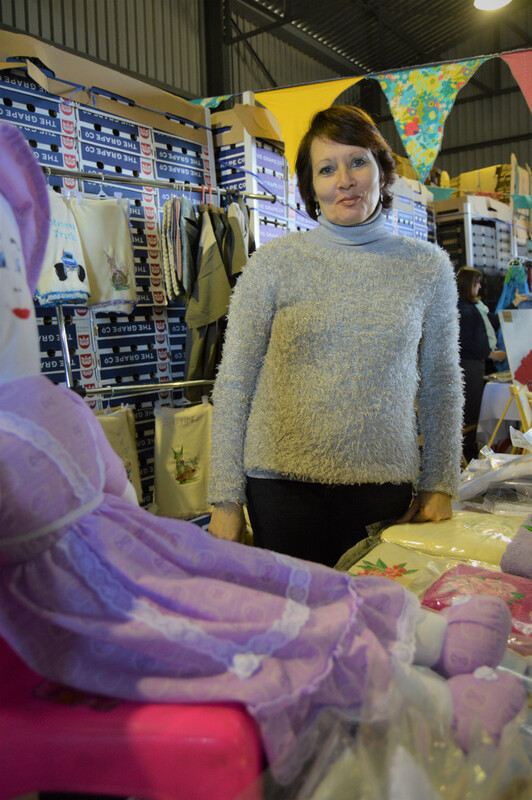 Sarie Esterhuizen, doing business at the Pure Boland Market.